Lieke Martens has been named The Best FIFA Women’s Player 2017. Cristiano Ronaldo has been named the Best FIFA Men’s Player 2017. Message from the player: “Thank you for voting for me. A mention for Leo and Neymar for being here. Thanks to Real Madrid teammates, coach and president they support me throughout the year. We are in England for the first time, I am really glad, it is a great moment for me. 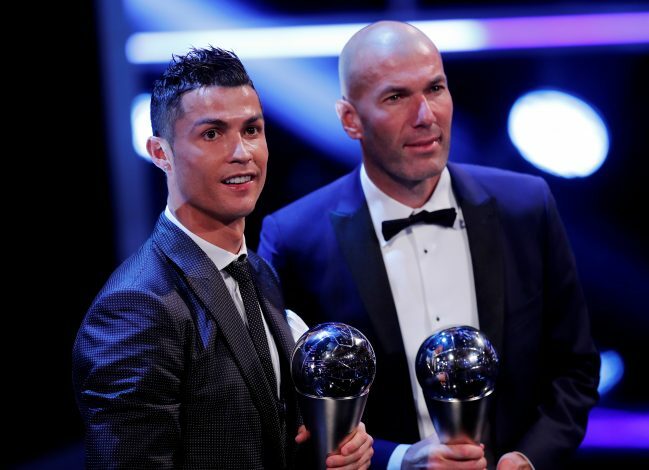 Real Madrid forward Cristiano Ronaldo has won the FIFA World Player Of The Year award for the fifth time.